5 years old - This entry was posted in New work on January 9, 2014 by nona_admin. 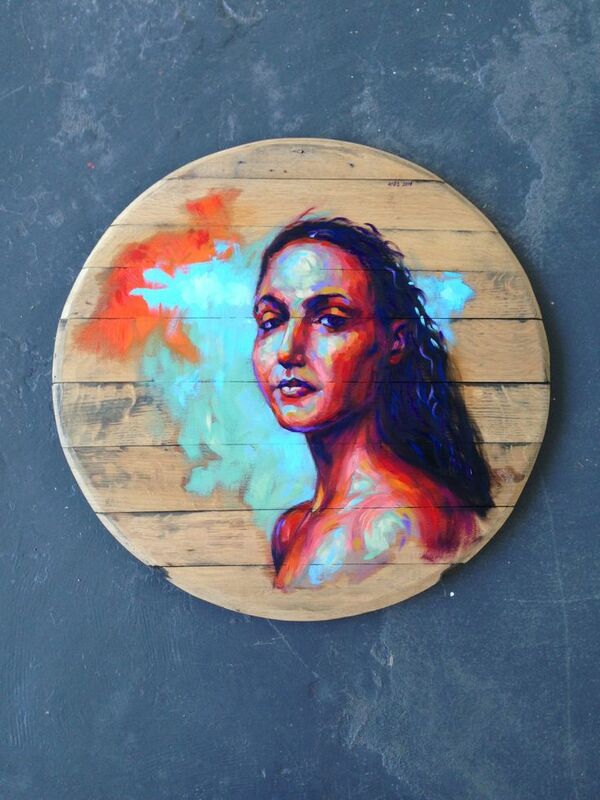 I have just finished painting this beautiful lady on an oak barrel lid. Who is the Lady? I don’t know, I found her on the internet. In the picture she seemed to be very powerful.